What is stress? This is what we face every day, stressful situations constantly persecute us: at work, at home, with close people, with relatives, etc. In other words, stress is a part of our daily life. However, we should not completely give ourselves to it, we must fight it. The best way to cope with stress is meditation. This magical practice will help you learn how to manage stress and cope with it. Meditation has been practiced for thousands of years and has many benefits. During meditation, you focus on one thought or subject. 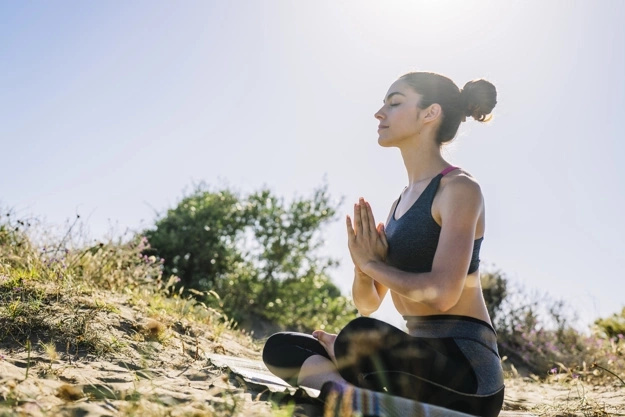 Meditation can help you focus, relax, relieve stress and fatigue and learn about your own world. If you have not tried the practice of meditation, you should do it, as this is the way to a happy and healthy life. 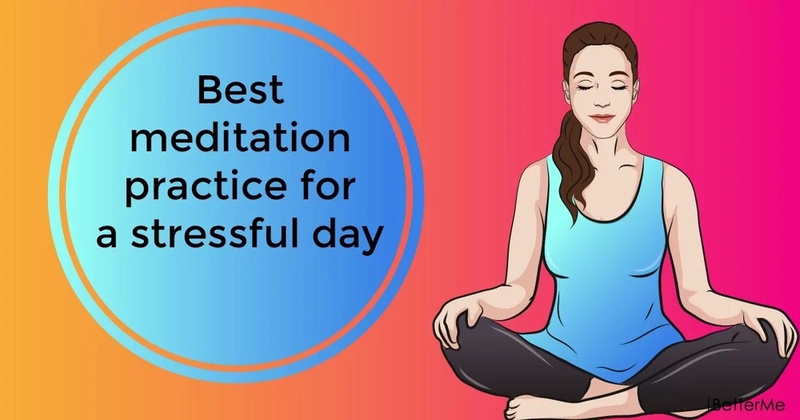 That is why we are glad to present you with a best meditation practice for a stressful day. 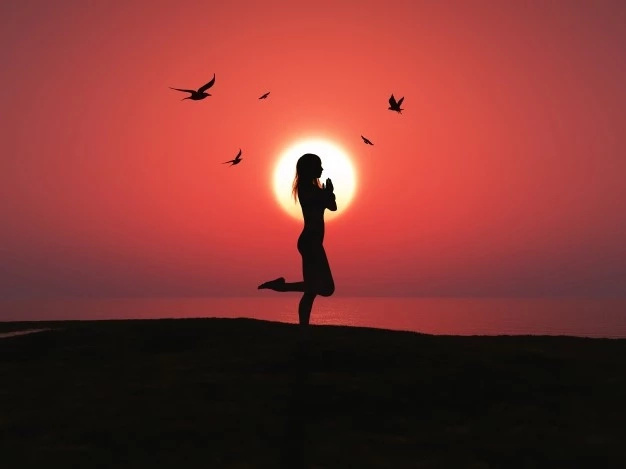 With a regular practice of meditation, you will learn to align with the universal life force, or shakti in Sanskrit – a primordial energy that animates every atom throughout your body. Welcome sensation in your jaw, mouth, inner and outer ears, and all around your eyes, forehead, and scalp. Then welcome the sensation in your neck, throat, shoulders, and shoulder blades; and arms, palms, and fingers. And then welcome the sensation in your upper, middle, and lower torso; back, pelvis, and sacrum; and hips, legs, and feet. Front and back, right and left, internal and on the surface. Then feel your entire body as shimmering, vibrant energy, a glowing, pulsing field of sensation that emanates and radiates both inwardly and outwardly at the same time. Keep turning your attention back to this feeling of your body as radiant sensation, even as thoughts or other distractions arise. You should notice where you feel tension and how your breath travels through you on your inhales and exhales. As you do this, you are consciously switching off your default network of time-space separation, and enlivening your attention and control networks so that ultimately you can switch on your present centered network – the final gateway to connecting with the universal life force and infinite possibility. Do it to join and experience the underlying pulse or throb of the universal life force that is animating and enlivening every atom, molecule, and particle of your being, and every thing in the cosmos. When distracting thoughts arise, note them, and then turn your attention back to welcoming and feeling the body as the vibrant, radiant, innate universal life force. When you are ready to stop meditating, reaffirm an intention to keep a window to this life force open all day. We recommend you practice this meditation daily. Pay attention to what you experience when you are in the midst of a conversation, working at your desk, walking in the street or going to sleep. The fact is, you can suddenly feel the universal life force that animates every atom throughout your body in these moments. 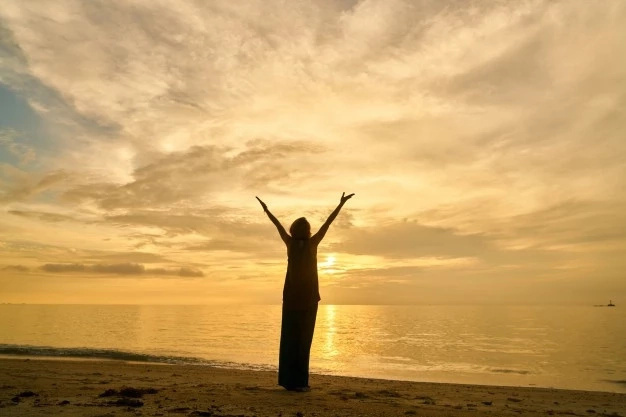 It's priceless, keep doing your daily things while feeling this radiant energy, which helps you feel deeply connected to yourself and the world around you.